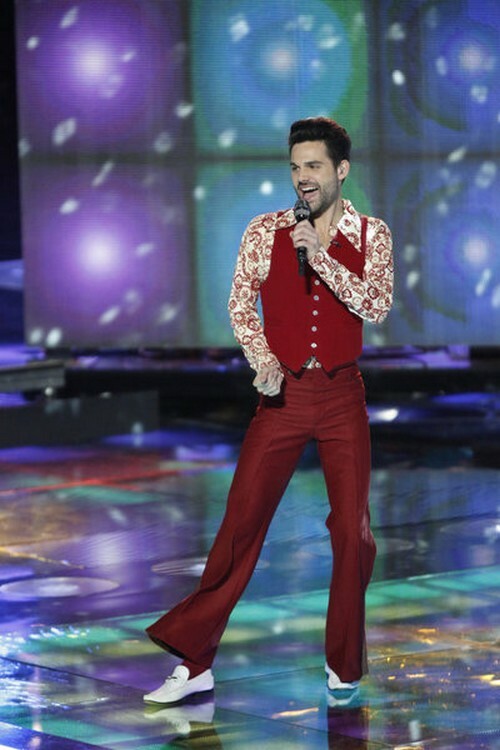 Cody Belew took the stage tonight on THE VOICE for his Top 10 video performance. Cody sang “Crazy In Love” by Beyonce. Tonight’s show the top 10 perform live in front of coaches Christina Aguilera, Adam Levine, CeeLo Green and Blake Shelton for America’s vote and a chance to move on to the elite eight. Did you miss tonight’s episode? If you did we watched it and we recapped it here for you. Judges Comments: Team Cee Lo’s Cody Belew is going to take the stage to perform Beyonce’s Crazy in Love and I have to admit the practice bits are making me want to hear this. Definitely worth the anticipation. It was fun and Cody certainly found his groove with this. He kind of reminded me of Adam Lambert here. Adam thought he was really cocky in an awesome way. Christina thought he worked it like a true diva.